In Avengers: Infinity War, cute little Groot has grown up — at least, a bit. Now he’s moody Groot, a treenager with his nose deep in his games. 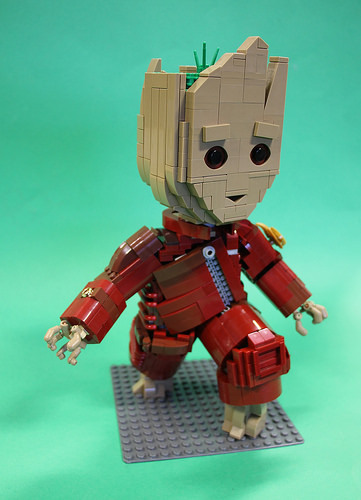 TBB’s Builder in Residence Iain Heath is getting Groot out of the house, but good luck getting his headphones off. In a series of photos over the next few days, Iain will be showcasing this adorably grumpy Groot around the city — not that Groot is likely to notice anything. 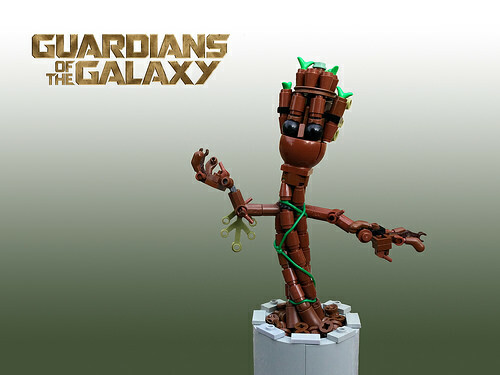 The little LEGO Groot is remarkably poseable, and has the perfect squinting scowl befitting a petulant youngster. 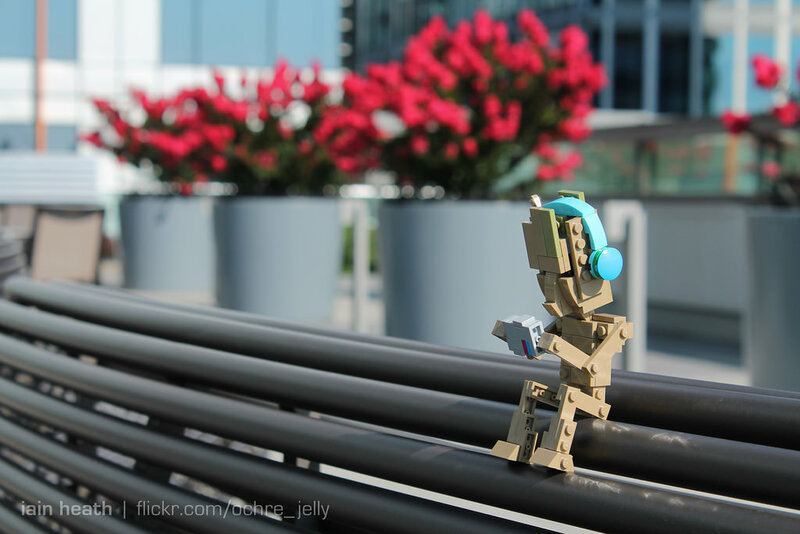 Be sure to watch Iain’s Flickr album, where he’ll be sharing more of Groot’s adventures in coming days, or follow him on Instagram. I say, I think you’ve spilled some Guardians of the Galaxy in my Star Wars! 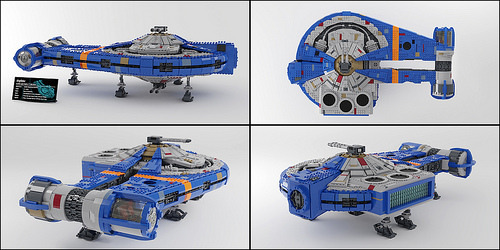 Builder aido k says he just liked the colors on this wonderful LEGO rendition of a Corellian Engineering Corporation YT-2400, but I like to think this is what the Guardians of the Galaxy’s Milano would look like if they lived in a different galaxy. The YT-2400’s design may look familiar, as it’s a cousin to the YT-1300, whose most famous example is the Millennium Falcon. In fact, Aido was inspired by the recent UCS Millennium Falcon, and has even whipped up a lovely information plaque to accompany the ship. Although the model is still just a digitally rendered version, Aido has plans to build the model with real bricks, and it looks as if he’s been careful to use only part/color combinations that exist. Now where’s our Jedi Groot? 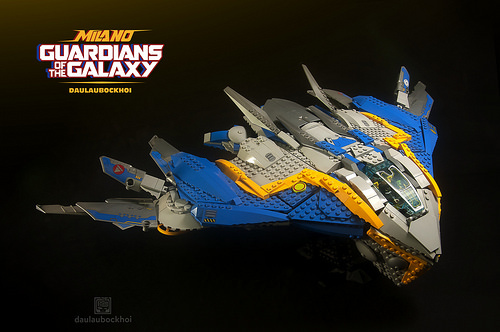 The Guardians of the Galaxy (film or comics) have brought many unique and interesting spaceship designs to light, most notably the protagonists’ personal way of transport, the Milano. 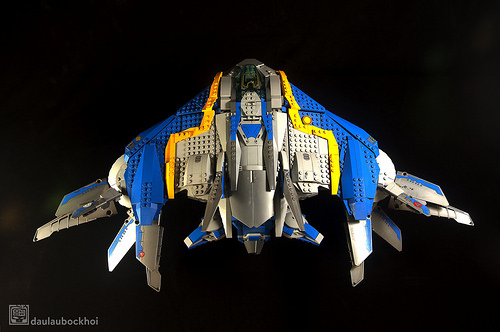 LEGO has released some of its own versions of the spaceship as official sets but none to nearly the scale or amount of detail as BenFifteenTheChicken‘s recent build. The photography is top-notch, the lighting is amazing and the shadows compliment the shape very well. 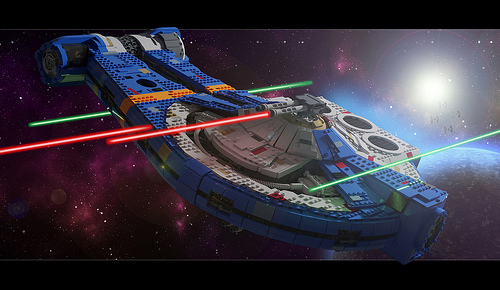 The model sports more studs on its surface than is usual, which gives somewhat of a UCS kind of feel to it. Additionally, I think that the angles Ben has used would not work nearly as well if the whole creation was tiled or if he had hidden studs in a different way. 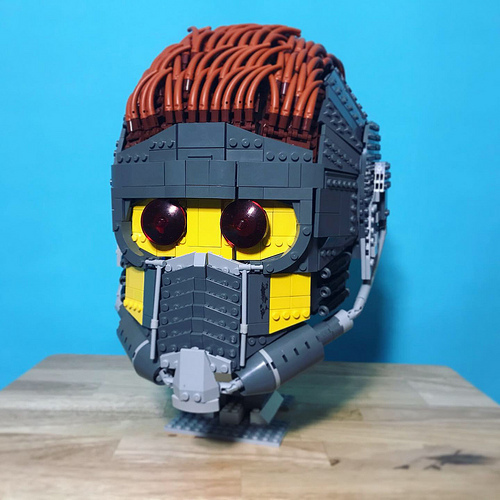 Fans of this model may also enjoy this minifigure scale Guardians of the Galaxy Milano we featured last year. Guardians of the Galaxy Vol. 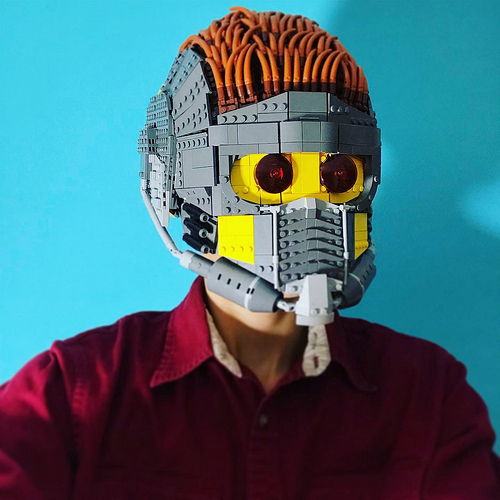 2 hit theaters last week, and although LEGO’s tie-in line of sets has been available for a little while, they’re still doing something special to mark the occasion. 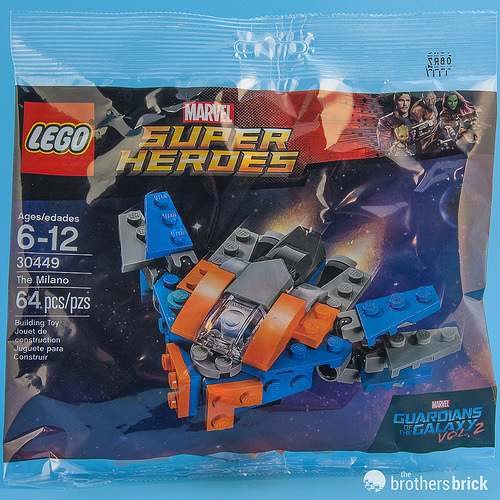 From now until May 19, if you buy over $35 of LEGO from the LEGO Shop Online or a LEGO store, you’ll get the nifty little mini set 30449 The Milano as a free bonus. It’s got an MSRP of $3.99 USD and has 64 pieces. It’s a tiny set, but still fun, so we thought we’d give it a review. 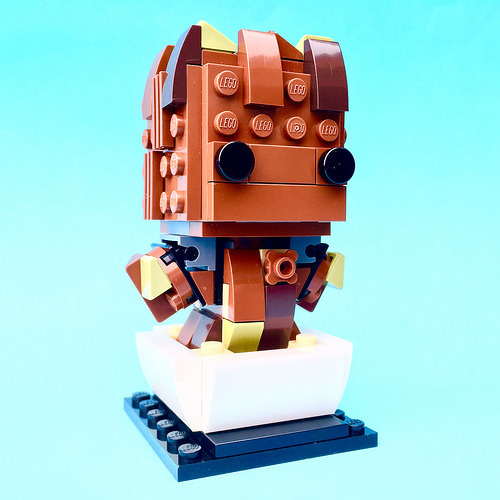 Sean and Steph Mayo just posted the most adorable Baby Groot (Sapling Groot?) ever. It was for a commission and I have to say that the new owner is very, very fortunate. I am Groot! You should also check out two other versions by Jack M and Tyler. We’ve highlighted Tyler’s Groot before, but missed the boat on Jack’s.